In several states such as Florida, pediatric dentists are being reimbursed at levels of 50% and less compared to care given to privately insured patients. In some states long time patients are being turned away by their existing dentists and forced to seek care from new offices. SALT LAKE CITY — They weren’t letters Kenda Thompson relished sending. But she sent them anyway, at the end of the month, to every last Medicaid patient at the dental clinic in Sandy where she works, to inform them that the office would no longer be accepting Medicaid. But many local dentists say the changes could result in thousands of pregnant women and children losing their providers and being reshuffled to new ones — if they can find someone who will take them. Now Premier Access, the larger of the two, is changing its reimbursement methods: Instead of paying dentists a separate fee for each procedure, known as fee-for-service, Premier Access will pay dentists a lump sum per child per month. The idea is to force providers to rethink whether patients need expensive tests or treatments that may not do much good. This so-called “capitation” model is becoming increasingly popular among insurers, particularly for medical doctors. 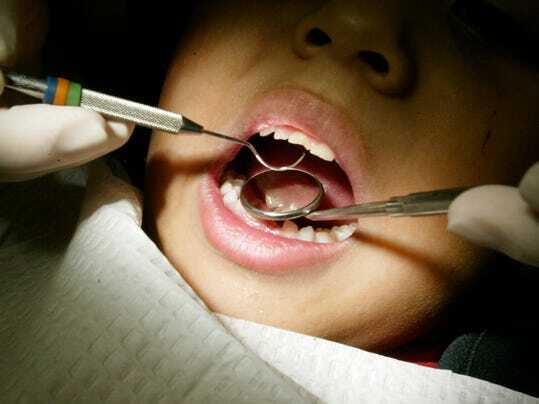 The company managing TennCare’s dental benefits for Medicaid-eligible children increased the number of kids receiving care since winning the contract, federal data show. In the past year the number of children receiving care under the program increased 3 percentage points from TennCare’s baseline 53 percent participation rate when DentaQuest won the contract in 2013, said Steven Brady, DentaQuest’s Tennessee executive director. There were 925,671 children covered via TennCare or the Children’s Health Insurance Program in 2015, up from 888,306 in 2014, according to the U.S. Centers for Medicare and Medicaid Services. Five years ago, I started researching the delivery of children’s dental care in the growing Medicaid dental space. I discovered a pioneering, cost-effective dental health care solution called “dental support organizations,” or DSOs. Some DSOs help improve access for underserved children, who largely lack access to “regular” dental practices that have historically not accepted patients who rely on the low-paying Medicaid program. As an economist, I was intrigued — however, as I dug deeper, I uncovered something disturbing: a coordinated effort to inhibit entrepreneurship and innovation in this critically underserved health care niche, at the expense of vulnerable children. A majority of U.S. dentists do not accept Medicaid. In a 2013 report, Pew Charitable Trusts found that 75.5 percent of Medicaid-eligible children in Florida never saw a dentist. Under the DSO model, administrative services are centralized and economies of scale are harnessed by a business partner. Dentists focus on patient care, not the distraction of overhead and red tape associated with insurance and Medicaid. As a result, DSOs have allowed dental practices to extend into communities most dentists would never consider. As we continue to watch the development of DSO, Medicaid changes and some degree of patient shuffling, a few facts are clear. This topic will certainly be a part of the country’s elections in two months. As well, many in the industry are working hard to find workable solutions. Children need to see their pediatric dentist by the age of one to be certain of good oral health. No one on either side of these debates wants to prevent that. We are sure that everyone involved wants to ensure adequate access to good dental care for the children. We will continue to watch this area of dentistry in hopes of better solutions for all involved.